Building architecturally & custom designed homes. Baddock Building caters for all aspects of residential construction; from new builds to home renovations, repairs, and maintenance across the North Shore and Northern Beaches of Sydney. We are proud members of the Housing Industry Association as well as Carpentry Australia and pride ourselves on our positive client relationships. 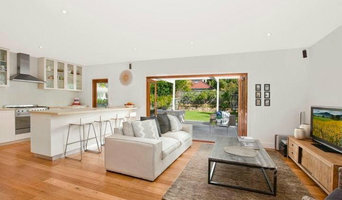 BIC Construction is a Sydney-based residential construction company, specialising in architectural construction. We work collaboratively with trade professionals such as architects to deliver innovative extensions and renovations with a distinct focus on quality. We’re known as ‘the calmest builders in Sydney’ for our ability to deliver projects of exceptional quality and function no matter the complexity or challenges, making us a partner of choice for architectural designs. When quality matters, make sure you talk to BIC Construction. 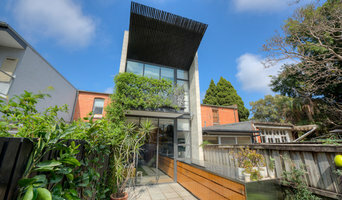 Sydney's New Home Projects & Extension Experts. McGarry Constructions is a building and refurbishment company based in Sydney's Inner West offering a high-end service to discerning, design conscious clients. McGarry Constructions is an excellent choice if you are looking for quality builders for renovations, alterations, a house extension or a commercial fit out. We pride ourselves on the high level of service, professionalism and expertise which we deliver enabling us to build long term relationships with our clients. Souter Built provides a range of building services including residential, commercial and heritage restorations. With a passion for building to the highest standard and a creative outlook for problem solving we can deliver a high-end quality product on time and within your budget requirements. Director Adam Souter has been building for 15 years in 3 countries around the world. As a meticulous carpenter and builder his attention to detail is second to none, managing anything from small to million dollar projects. He prides himself on having a positive, can-do attitude which is reflected throughout his company. Kestrel Building is a residential building company specialising in undertaking architecturally designed projects. Our builder is a multi-skilled tradesman with experience and knowledge in steel fabrication, roofing, masonry, joinery and concreting, with carpentry as his first trade. We pride ourselves on having long, successful relationships with our trades and suppliers, thus maintaining high standards and ensuring accurate cost estimates. Andre is the founder, director and principal builder at Kestrel Building. Having worked first as a carpenter then site foreman, he is on the tools throughout each project, whilst coordinating the various trades and solving issues as they may arise. We feel a builder who understands the trades from hands-on experience also understands the timing and actions needed to achieve a smooth build as opposed to a third-party project manager or middle man not on site every day. A Cut Above Constructions is a Sydney based construction company who specialise in producing work of the highest quality and finish. We take pride in providing a personalised service, unparalleled attention to detail and competitive pricing. We are a tight knit team who believe honesty and hard work drive our success. We uphold the utmost professionalism from the moment we answer the phone to the moment we unveil a project. Incorporated in 1999, David Campbell Building Pty Ltd, is a luxury residential home builder based on Sydney's North Shore and known for building numerous prestige new homes and renovations. Our end goal is to provide clients with the most value for their money by incorporating quality finishes and an outstanding level of service when building our cients dream home. Our team of professionals is highly experienced and trusted to get the job done right. Call DCB today to discuss your new home or renovation. 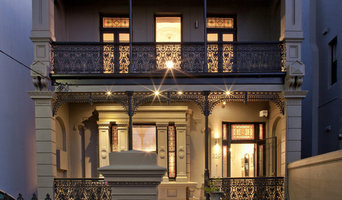 Capital Building specialises in apartment and house renovations in Sydney’s East, North and Inner West. Over 20 years’ experience of creating space, new layouts, updated finishes and that ‘brand new home’ feel. We bring our passion for delivering great results, we share our extensive knowledge, we deliver top quality workmanship and we have great planning and communication, to ensure every projects success. Specialising in apartment renovations ensures we understand: The designs that will maximise your apartments potential The approval process and working with Body Corporate Working well with neighbours and noise restrictions, Working closely with our clients to deliver beautiful results Whether you have your own design or you want us to design your space with our in-house design team, we have you covered. With Capital Building, the results are outstanding. Whether you’re undergoing home renovations or building from scratch, hiring the right home builder is essential. Your choice will determine the quality of craftsmanship, as well as how high your stress levels rise! 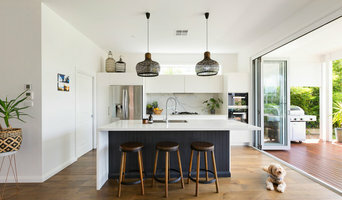 A home design or building project is a huge and multifaceted undertaking, so it’s important to find a local Sydney, New South Wales builder you can trust to bring your vision to life and keep the process under control. The Houzz professional directory of home builders is a great starting point to choose the right builder for your needs. What exactly do Sydney, New South Wales home builders do? Before any nails are hammered down, construction companies perform market research to determine whether the prospective site for a new home in Sydney, New South Wales makes sense. They also survey the land to make sure it is suitable for construction, and obtain any necessary New South Wales permits. Scroll through this page to find contractors in Sydney, New South Wales. Then, click on a professional to browse photos of their latest projects and see how their work compares to the scope of your project. Read reviews to see how other homeowners rate their work, and message the home builder or construction company directly to ask any specific questions.